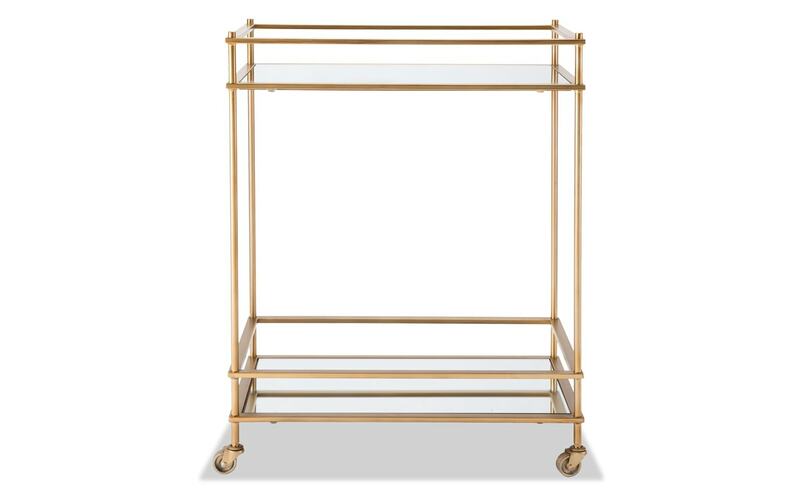 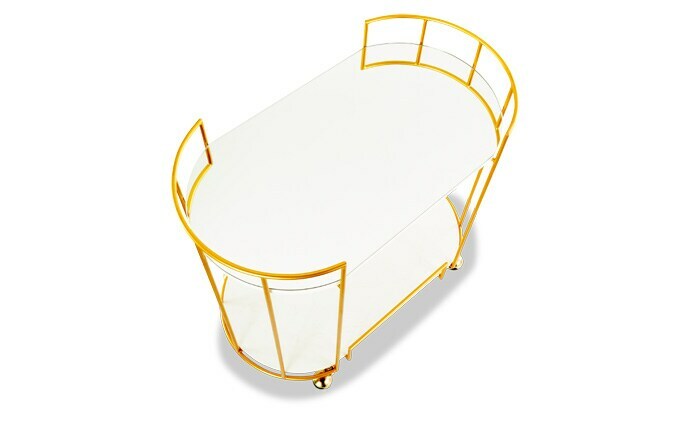 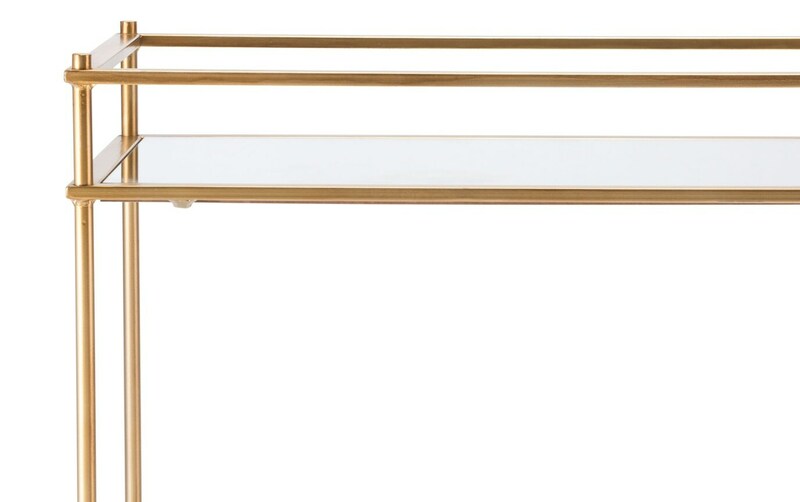 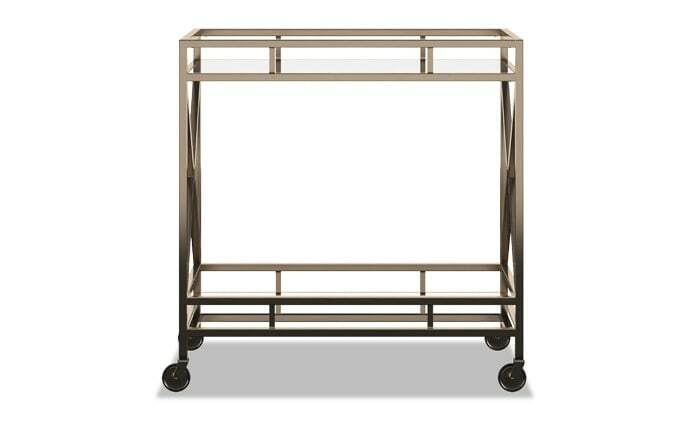 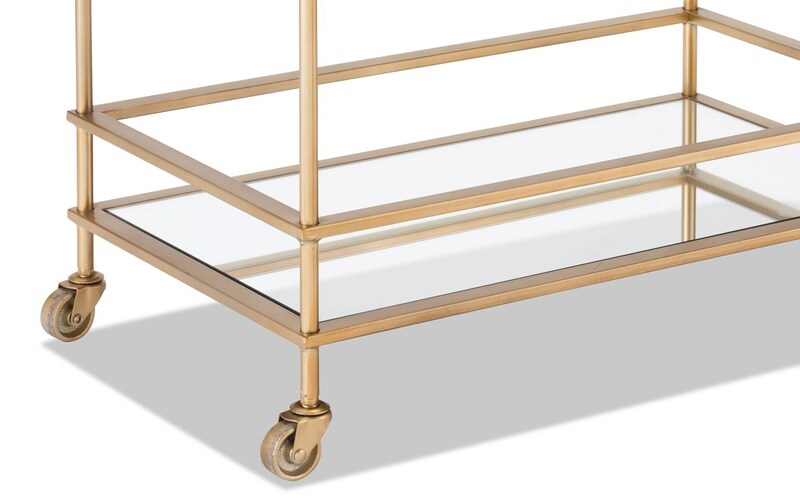 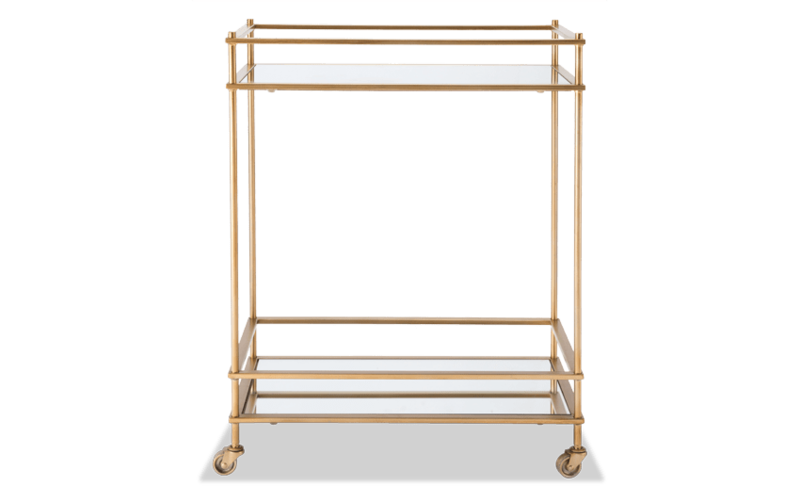 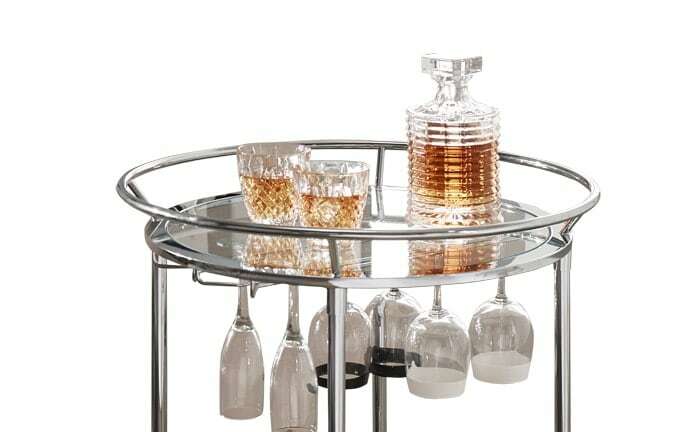 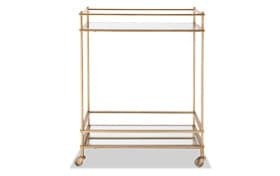 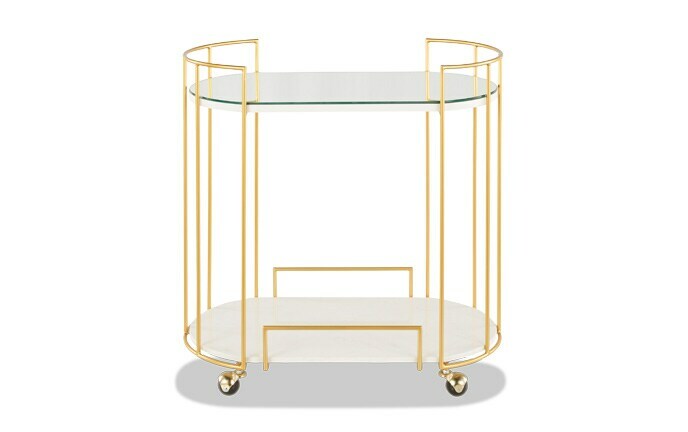 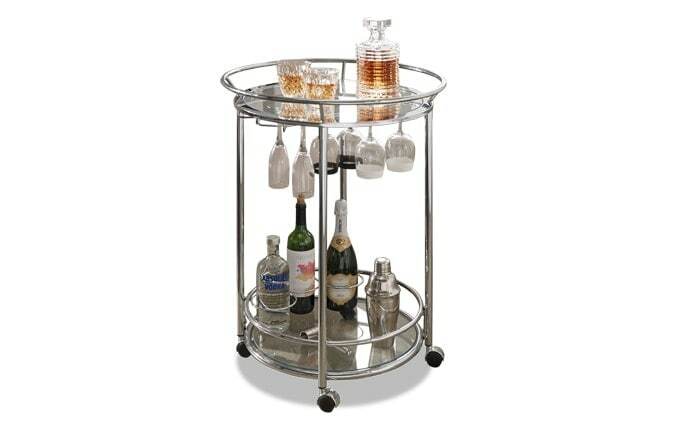 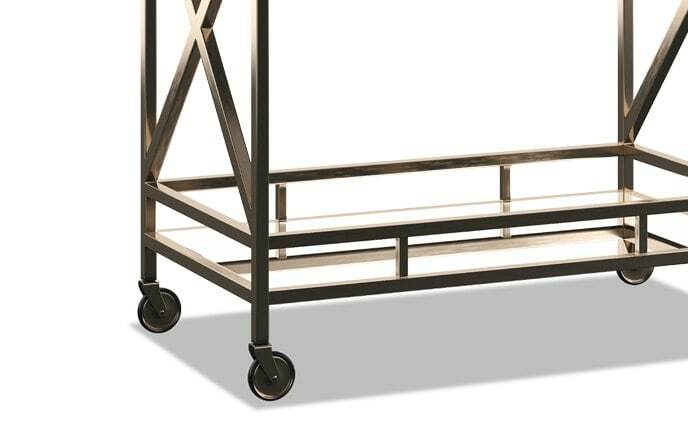 My Mirrored Gold Bar Cart is a true reflection of your style and good taste. 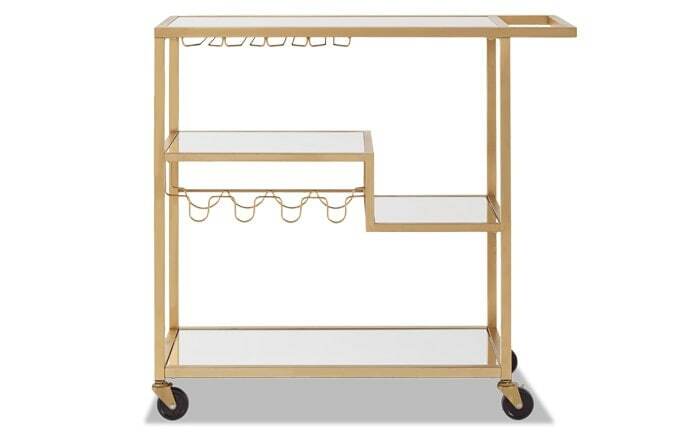 With a glamorous gold finish frame, mirrored shelves and four wheels you can store your favorite spirits and move along with the party! 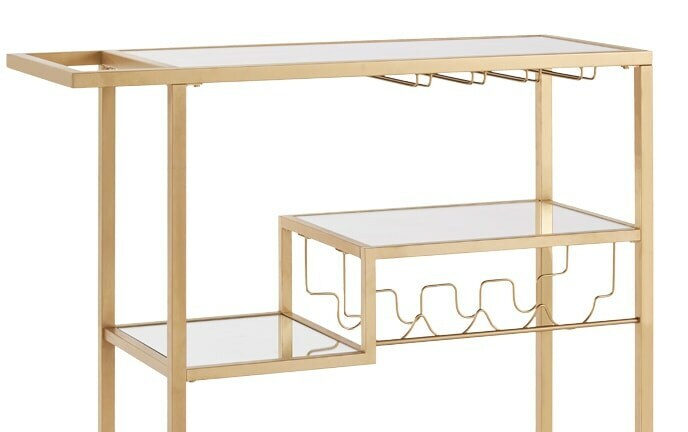 This one is sure to make a fashionable and chic statement.